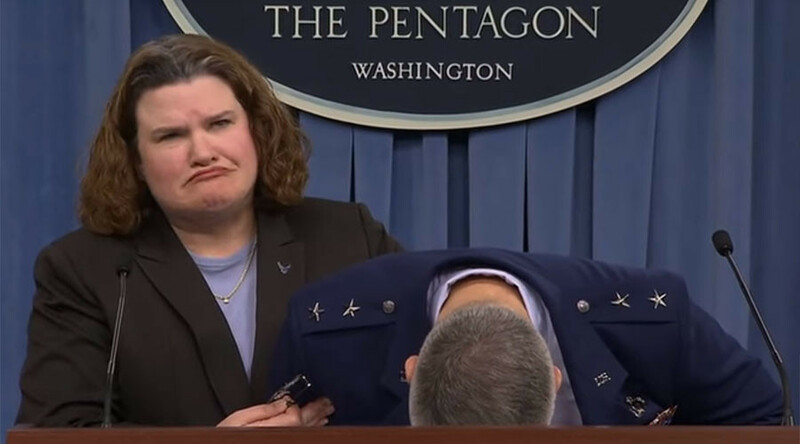 Air Force Maj. Gen. James F. Martin Jr. fainted at the rostrum during a media briefing when he was talking about the F-35 plane in Pentagon on Wednesday. The high-ranking officer was delivering a report on the Air Force budget and in particular about the future of the ill-fated F-35 program when he experienced a dizzy spell. Assistant Air Force Secretary Carolyn Gleason rushed to Martin's side and grabbed him by the arm. “That's what the F-35 will do to ya,” Gleason was heard to say in a joke. On February 10, the Pentagon reported that troubled US F-35 fighter jet needs more engine changes. The general was taken to a rest room and then to a hospital for a medical check-up. It was later revealed that he was suffering from a cold. He returned to work Wednesday and was said to be fine, according to Air Force Times.